How often does a book reside in the actual location in which it’s set? We’re not talking about the city, but a specific location like a university. In the popular dystopian novel Nirvana, part of the story unfolds at the University of Toronto. The first instalment in the young adult series of the same name by J.R. Stewart, the novel features several highly descriptive scenes set within U of T, including Massey College, and features several key U of T alumni. Naturally, the bookstore was eager to feature the book on its shelves. I love Toronto, and spent much time in the downtown core in my youth. The university was home to me for a while, and I have many fond memories there. It wasn’t nostalgia or familiarity that had me include the University of Toronto in my book, though. U of T is also home to the Neurorehabilitation and Virtual Reality Laboratory – a subject very close to me. I find that it’s always at the core of technological innovation, dedicated to groundbreaking research, and supportive of the literary scene. That is a powerful combination, and I wanted to bring attention to that. 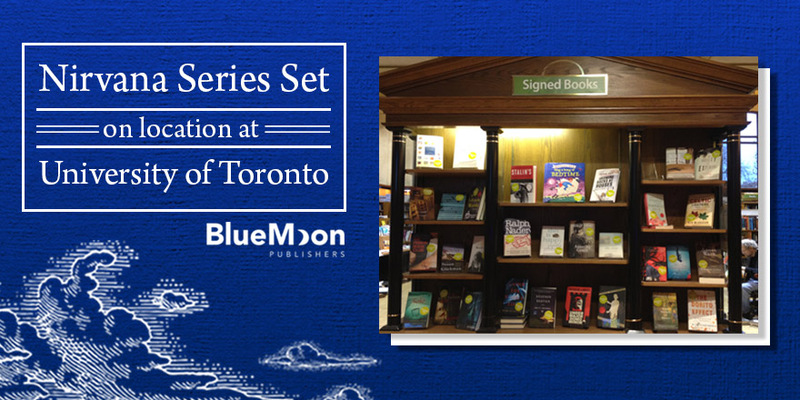 The University of Toronto Bookstore began as the Students’ Books Department in 1897, and in 1981 the Bookroom began to expand its role in the literary community with the establishment of a reading series. The University of Toronto Reading Series has hosted such notable authors as Margaret Atwood, John Updike, Robertson Davies, and Salman Rushdie. Did you ever visit the University of Toronto?